GARDENA — The 45th annual ZNA (Zen Nippon Airinkai) Koi Show will be held on March 16 and 17 at the Gardena Civic Center, 1700 W. 162nd St. in Gardena. Hours: Saturday from 10 a.m. to 5 p.m., Sunday from 10 a.m. to 3 p.m. (rain or shine). Free and open to the public. There will be entertainment, koi judging and an awards banquet on Saturday; judges’ commentaries and koi auction at 12:30 p.m. on Sunday. Come see these beautiful fish up close on the City Hall lawn. 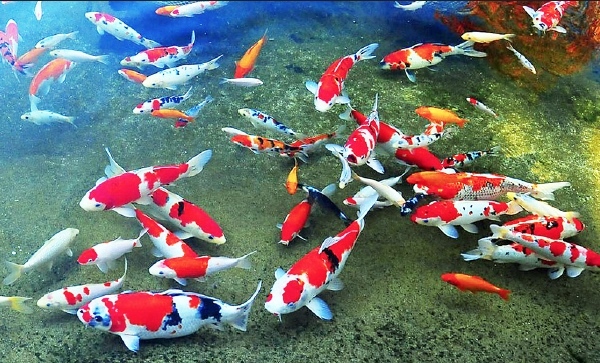 Koi are known for their vibrant colors and distinct markings. The show includes vendors with fish and supplies available for purchase. For more information, contact Alan Stein at [email protected] or Chai Taevanitcharoen at [email protected] or visit http://znasocal.org.